Engineering. Please be sure to RSVP if you intend to go to this. 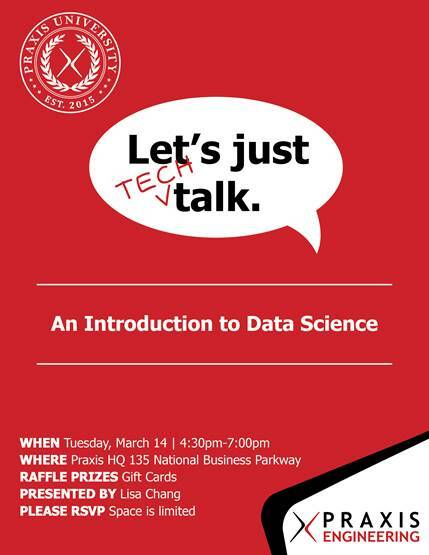 Join us for our next exciting Tech Talk, An Introduction to Data Science! We look forward to seeing everyone at this event!